Alappuzha: Samples of mosquitoes and dead crows have been sent to the National Institute of Virology, Alappuzha to find the source of the West Nile Virus which claimed the life of a six-year-old boy in Kerala’s Malappuram district. “Human infection is most often due to bites from infected mosquitoes. To date, no human-to-human transmission of WNV through casual contact has been documented. 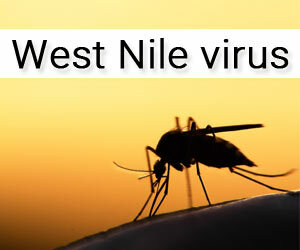 “Infection with WNV is either asymptomatic (no symptoms) in around 80 per cent of infected people, or can lead to West Nile fever or severe West Nile disease,” a senior Health Ministry official said. “Besides, remains of four dead crows which were found in and around Venniyoor have also been sent to NIV, Alappuzha for testing,” the official said. “Officials at the Animal Husbandry Department laboratory in Malappuram conducted a post-mortem of the dead crows to take out their brains, livers and kidneys and then sent them for testing,” the government official said. On Tuesday, the Health Ministry along with officials from the National Centre for Disease Control (NCDC) had reviewed the state’s preparedness and the action taken to deal with West Nile Fever (WNF) in Mallapuram district. According to Health Ministry officials, the child’s death could be the first fatality due to the vector-borne disease reported from the country. “It has been advised that all cases of Japanese Encephalitis (JE)/Acute encephalitis syndrome (AES) are to be investigated as per guidelines of JE/AES and also tested for West Nile Virus. Further, the community is to be sensitized through IEC campaigns on use of personal protective measures to prevent mosquito bites as per the NVBDCP guidelines,” a senior Health Ministry official said.